Community service was an integral part of my childhood and made an enormous impact on my life. From volunteering at the Food Bank, to delivering meals to people in need, to rebuilding houses for the poverty-stricken via Appalachia Service Project (ASP), I gained so much more than I ever gave. I wanted that for my children, but found it difficult and time-consuming to find age-appropriate, convenient opportunities for my children to volunteer. Thus was born Kids For Their Community (KFTC). By partnering with local charitable organizations that do amazing work and are in need of volunteers, we are able to provide a safe, fun and convenient way for children and their families to give back to their community. And, in addition, we can educate the children on the importance of community service and give them a chance to see the "big picture" in how their efforts truly make a difference. They can celebrate, share and be recognized for their efforts. Initially, we will host one event a month, which will be a combination of an informational session on what KFTC is about, an in-house volunteer opportunity for children of all ages, and an educational event. Please see our Events Page for a list of upcoming events. 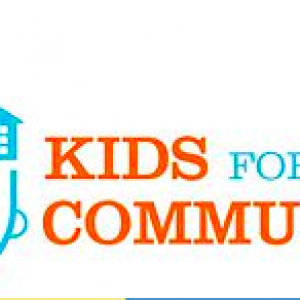 If you are interested in participating, assisting or donating to KFTC, please feel free to contact me via this page, messenger or at kidsfortheircomminity@gmail.com.